(Updated at 12:10 p.m.) Arlington firefighters are working to extinguish a fire in the basement of a Lyon Park home. First responders were called to the 900 block of N. Garfield Street around 11:15 a.m. today (Thursday). The blaze was largely concentrated in the lower level of a small duplex on the street, according to scanner traffic. 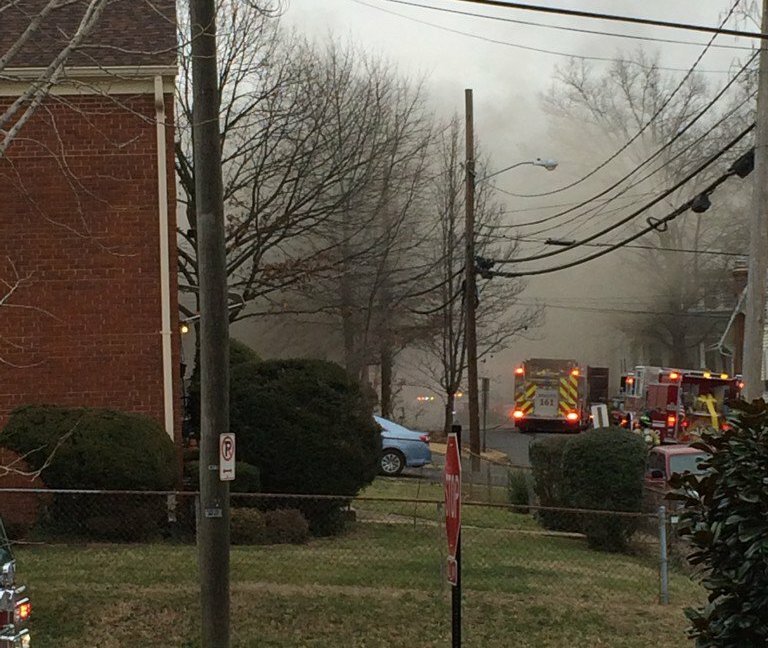 It’s unclear if any person was inside the house when the fire broke out, though a dog was removed from the house and brought to a local veterinary hospital, according to the Arlington County Fire Department. A firefighter also suffered minor injuries. I was in my house when I heard a girl yelling for help. I think she lived in the building. A woman passing by called 911.